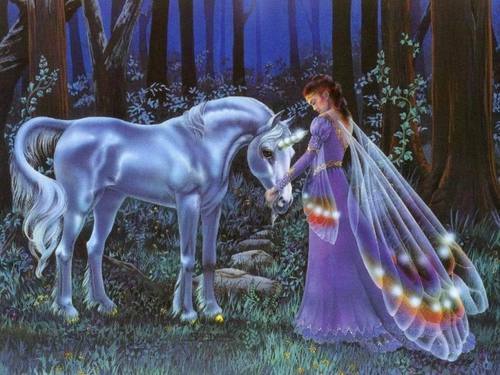 Unicorn and Fairy wallpaper. A beautiful fairy with a beautiful unicorn.. HD Wallpaper and background images in the unicorni club tagged: unicorn fantasy fairy art wallpaper. Gorgeous Isis and they look sooooo delicate !! Thanks Berni :) That's a perfect word for them! Oh wow love the beauty and innocence of this image! Thanks Tracy :) Some of these fantasy artists do such awesome work!